Non-stick stainless steel saute pan with glass lid. 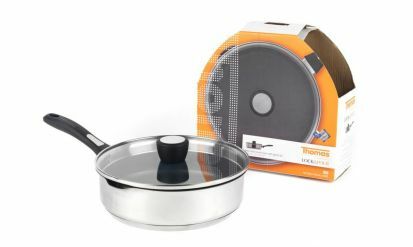 Suitable for all hob types electric, ceramic, halogen, gas and induction. Featuring a lock and pour system. Tempered glass lid. Spout on one side enables to drain any juices from the food before serving.